On "New Day" Tuesday, Sen. John McCain directly blamed Russia and President Vladimir Putin for the Malaysia Airlines Flight 17 crash. The senator said it was 'impossible' Russia had no involvement. "Now, whether it’s actually a Russian military person who pushed the button or not, they had to train these people for a period of time to make them capable of launching this system," Sen. McCain said. "The point here is that Vladimir Putin is literally getting away with murder ... and we are doing little in response. I think the investigation has to continue, we have to do everything we can to take care of the loved ones in the terrible tragedy that's taken place, but for us not to point the finger of blame exactly where it belongs - there's ample, overwhelming evidence. And not only because of this particular act, but because of Vladimir Putin's continued aggression and fomenting of aggression in Ukraine." RELATED: Who are Ukraine's pro-Russia rebels? Ukrainian rebels turn over flight recorders from Malaysia Airlines Flight 17. 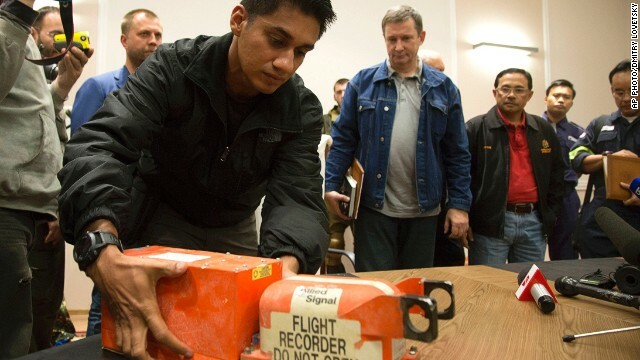 Ukrainian rebels hand over Malaysia Airlines flight recorders. The U.S. pushes diplomacy in Gaza. And the Texas governor is deploying the National Guard.